Peer educators will be trained to provide 60-90 minute programs to student groups and classes about how to interrupt sexual and relationship violence, as well as acts of bias. Additionally, Peer Educators will collaborate with other groups hosting events, participate in and help plan Stand for State events, participate in tabling, and teach others how to create culture change within their groups. 1. Submit this application no later than April 5 at 11:59 p.m.
All That We Are was an experiential activity hosted across all Penn State campuses in 2018 by Stand for State and other offices in Student Affairs. 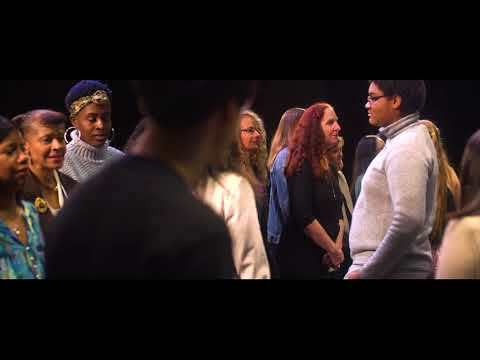 Based on the viral video from TV Denmark entitled, All That We Share, it was a way for Penn State students, faculty, and staff to explore what connects us beyond our differences.